The weather greatly affects my mood, and as such, September has been great so far. Henry and I had a date going painting at a Color-Me-Mine type of pottery place, and Josephine is getting much better at standing and cruising around the living room. She's also a speedy crawler and I scratch my head at how they can be SO LOUD and also velociraptor stealth at the same time and end up at the other end of the house almost silently. 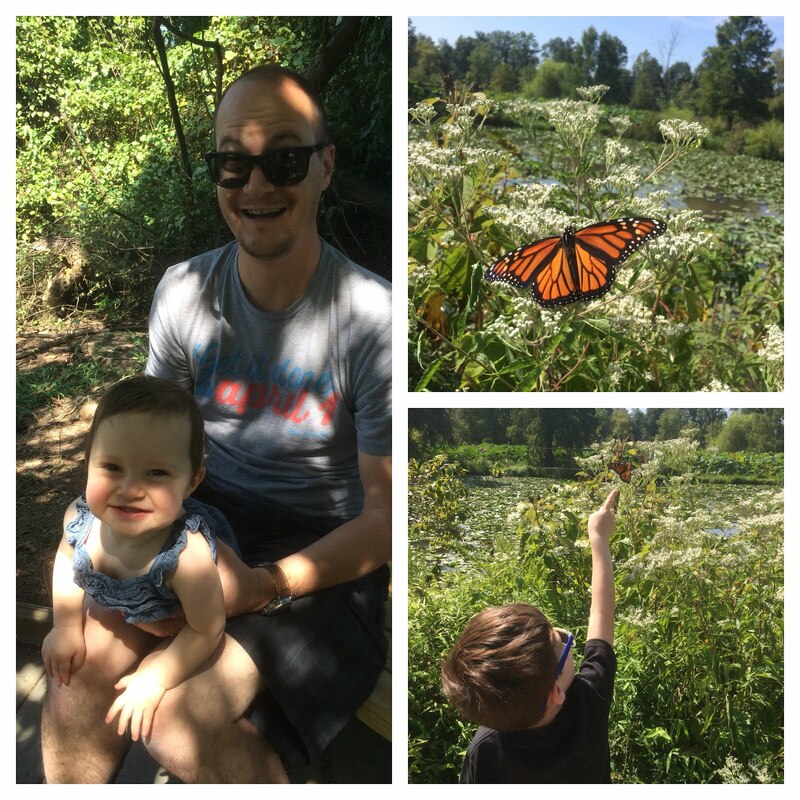 Over Labor Day weekend, we took Scott back to the Kenilworth Aquatic Gardens so he could experience the beauty we had previously. While the peak water lily bloom was definitely behind us, there were some stalks that lingered so he was able to see how amazing they were. 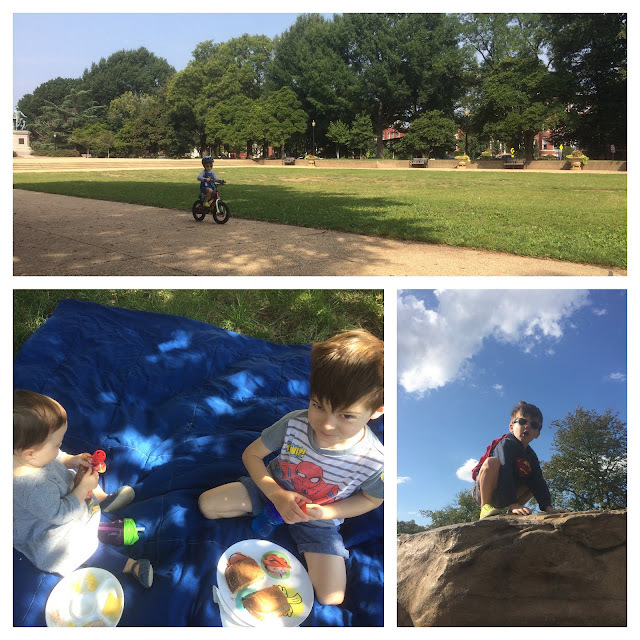 These beautiful days have also allowed us lots of park play time, bike riding, picnics, and baseball playing. 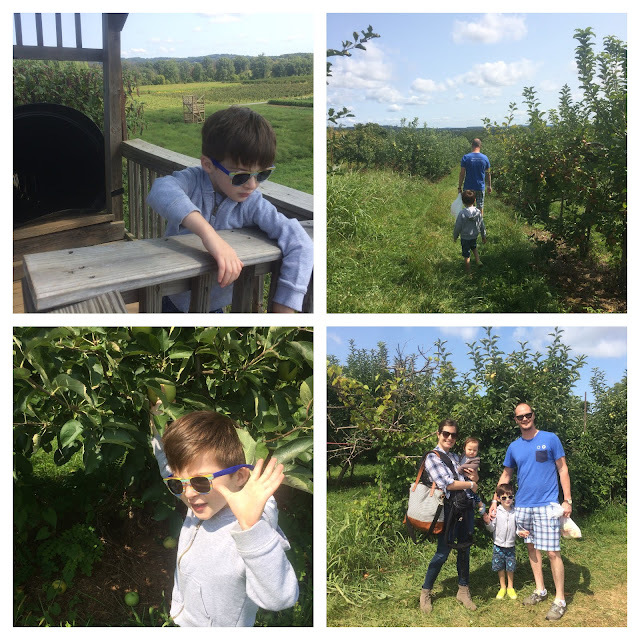 This past weekend we went apple picking in Bluemont, Virginia, at Great Country Farms and had a really wonderful time. 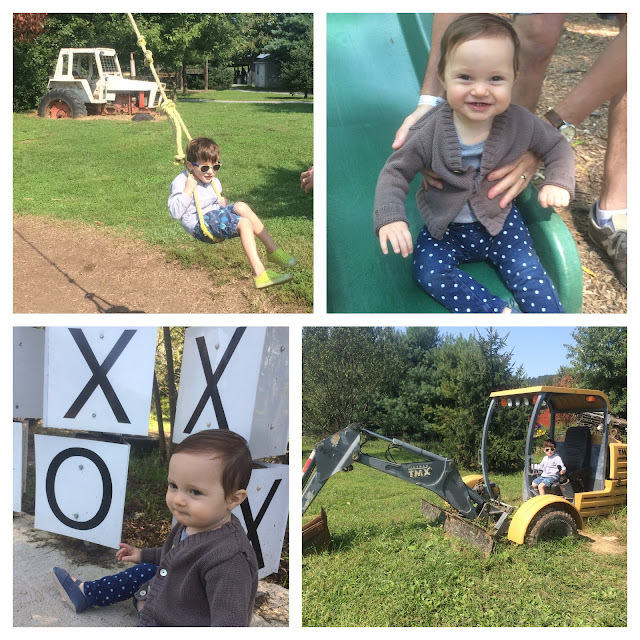 They had an amazing THREE acres of just playgrounds with a ninja obstacle course, old tractors and farming equipment, rope swings, giant slides, bouncing pads, climbing structures and more (not including apple orchards) so Henry was in heaven. Also, I can't believe how old Josephine looks below here. She's really creeping close to one year old! 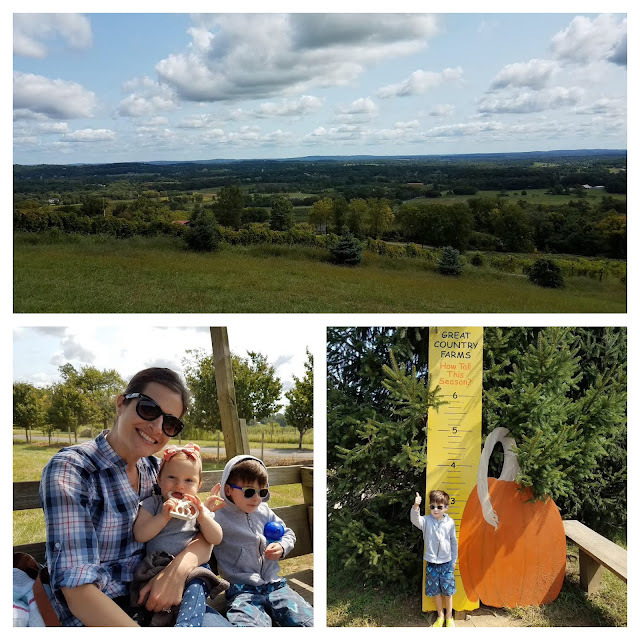 We enjoyed the apple picking, cider donuts, and spectacular views of the Blue Ridge Mountains in the distance. 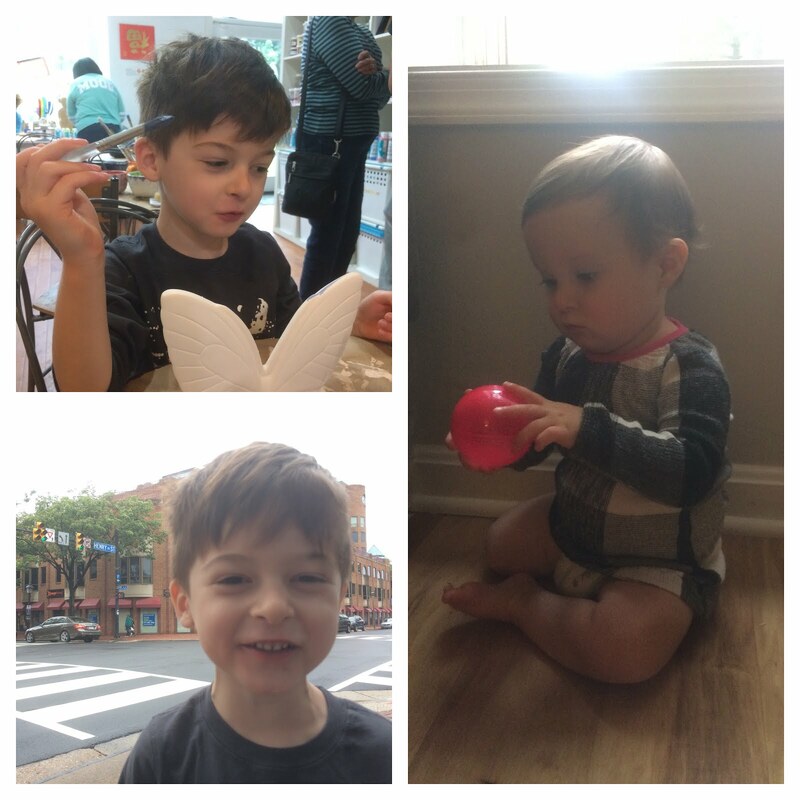 Fall is definitely in the air!